winners include Salvatore Vitale, Jacob Aue Sobol, Diana Markosian, and Clémentine Schneidermann, with Poulomi Basu claiming the Main Prize in 2018 with her project, Centralia. All submissions this year will be reviewed by an international jury comprised of Louise Fedotov-Clements (Artistic Director QUAD & Director FORMAT International Photography Festival), MaryAnne Golon (Director of Photography, Washington Post), Max Pinckers (Photographer), and Thyago Nogueira (Head of the Contemporary Photography Department at Instituto Moreira Salles, editor of ZUM magazine). Four winners will share cash prizes totalling £15,000, while all of the shortlisted works (up to 35) will be showcased in projections at Cortona On The Move (Cortona, Italy), Just Another Photo Festival (India), and OBSCURA Festival of Photography (Penang, Malaysia). 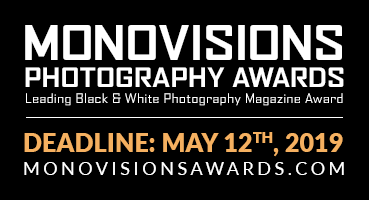 Additional prizes include three features on World Press Photo’s online publication, Witness; a space on a workshop at the next edition of Cortona On The Move in July 2019; and a solo show at PhEST (Monopoli, Italy), the winner of which will be selected independently by the festival’s curatorial team. Other photographers will also be afforded the opportunity to enjoy offerings from the PHmuseum Education program. The New Generation Prize – awarded to a photographer under 30 years of age – will come indeed with a four-hour online consultancy. Moreover the PHmuseum curators will handpick a further four photographers to be granted a one-hour online portfolio review. All the winners, honorable mention awardees, and several selected submissions will be promoted on the PHmuseum channels throughout the year. Photographers are invited to enter one, or multiple, series centered around a specific theme, narrative, or concept, and at least 4 images must have been shot after 1 January 2016. All visual approaches are welcomed, from classic narratives to experimental projects. plus projections at Cortona On The Move 2019 (Italy), Just Another Photo Festival 2019 (India), and Obscura Festival (Malaysia), and promotion via PHmuseum. plus a consultancy from the PHmuseum Education Program, projections at Cortona On The Move 2019 (Italy), Just Another Photo Festival 2019 (India), and Obscura Festival (Malaysia), promotion via PHmuseum. PhEST’s team will select a work from all the submissions to be granted a solo show during the upcoming edition of the festival to be held in Monopoli, Italy in September 2019. PHmuseum Director Giuseppe Oliverio and PHmuseum Curator Rocco Venezia will select 3 works from all the submissions to be published online on World Press Photo’s Witness. The Cortona On The Move Team will select a photographer, among all of the applicants, who will be granted a slot at a workshop during the festival next edition, to be held in July 2019 in Cortona, Italy. The PHmuseum team will select 4 photographers among all of the applicants who will be granted a 60 minutes portfolio review with a mentor of their choice from the PHmuseum Education Program. The judges will select up to 35 shortlisted projects that will compete for all main prizes and honorable mentions. All shortlisted works will be projected at Cortona On The Move 2019 (Italy), Just Another Photo Festival 2019 (India), and Obscura Festival (Malaysia), and promoted on the PHmuseum channels.